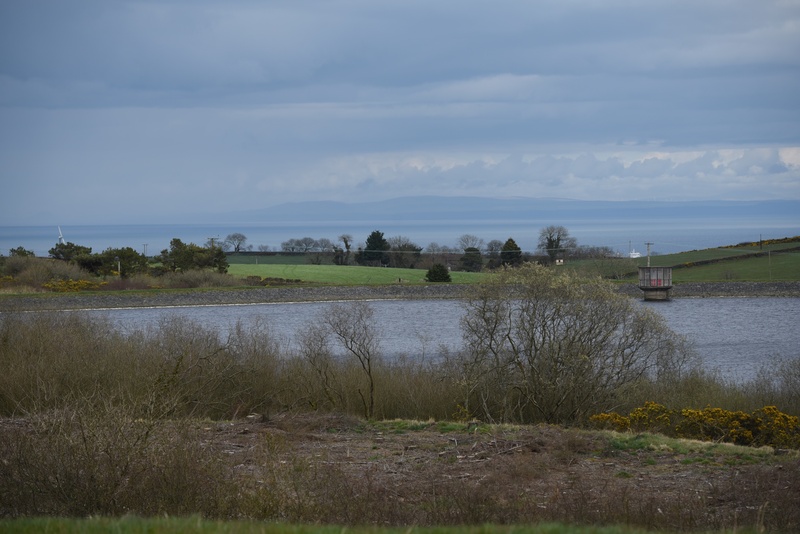 Today’s townland is Ballymenagh, along the County Down shore of Belfast Lough, close to the town of Holywood. I started my visit at the Seapark recreational area, which has a carpark, a children’s playground and easy access to the North Down Coastal Path and the sea. 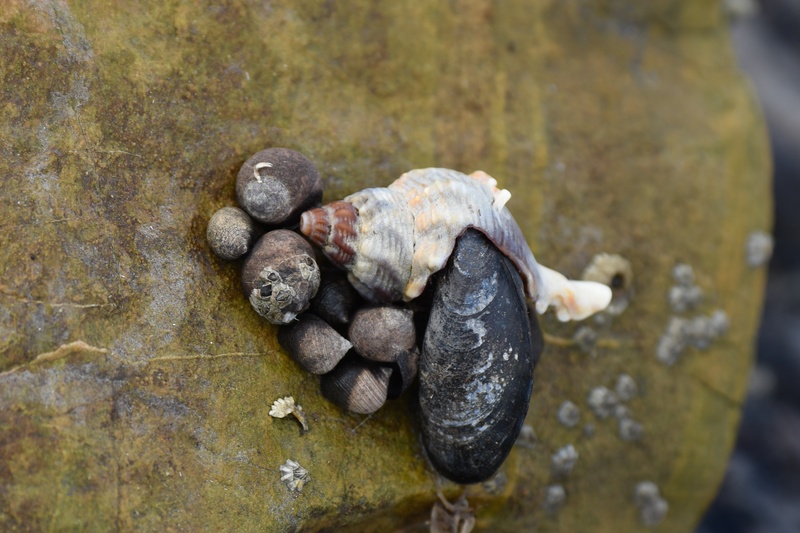 The tide was low enough to reveal these shells. 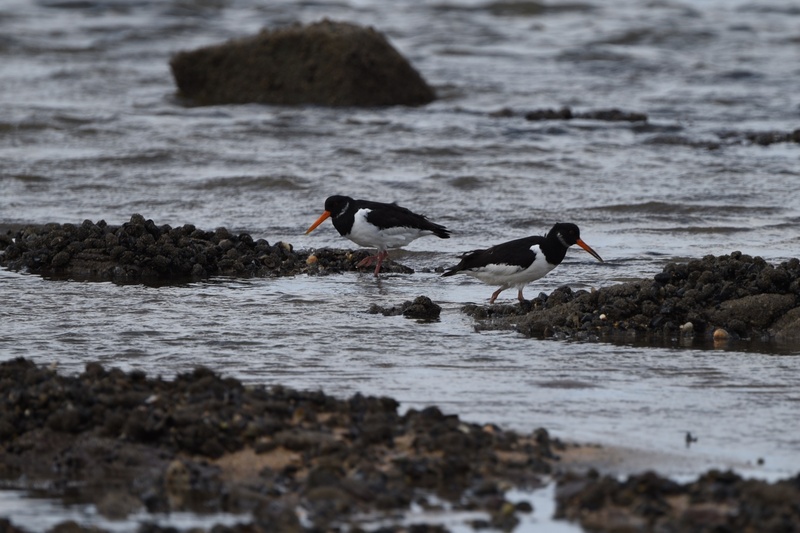 I may be cheating here, because I don’t know how far out into the lough the townland extends, but I enjoyed paddling in the sea and wanted to share these shells and oystercatchers. Getting back into the car with wet boots, I drove underneath the Belfast to Bangor railway line, and across the main road, to Ballymenoch Park. 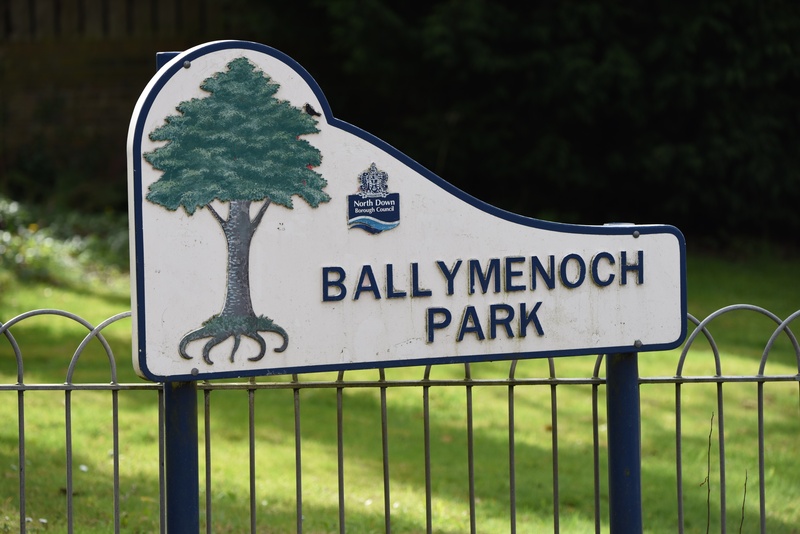 The name of the park (with “och” instead of “agh”) is taken from Ballymenoch House which stood on this site until it burnt down in 1913. Until these chestnuts grow their leaves, you can just about see the sea from the park. 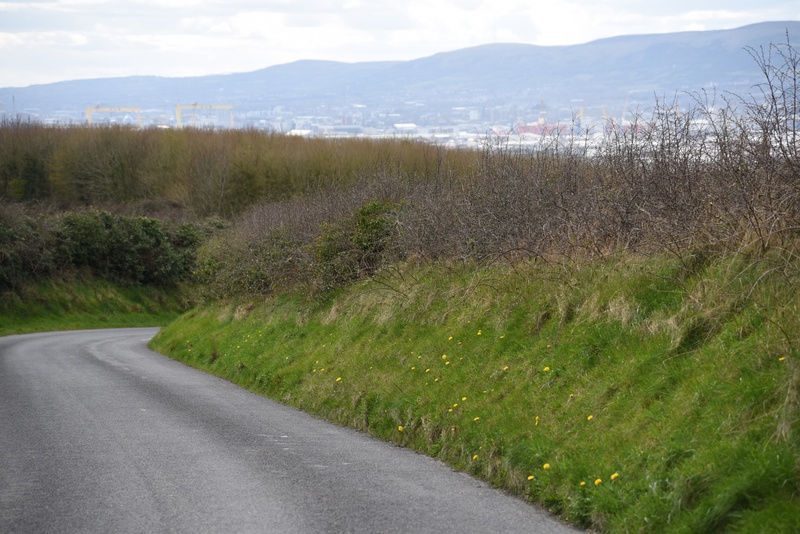 There’s a steep climb away from the sea along Creighton’s Green Road, giving views towards Belfast – can you spot the shipyard cranes in Ballymacarrett Intake? 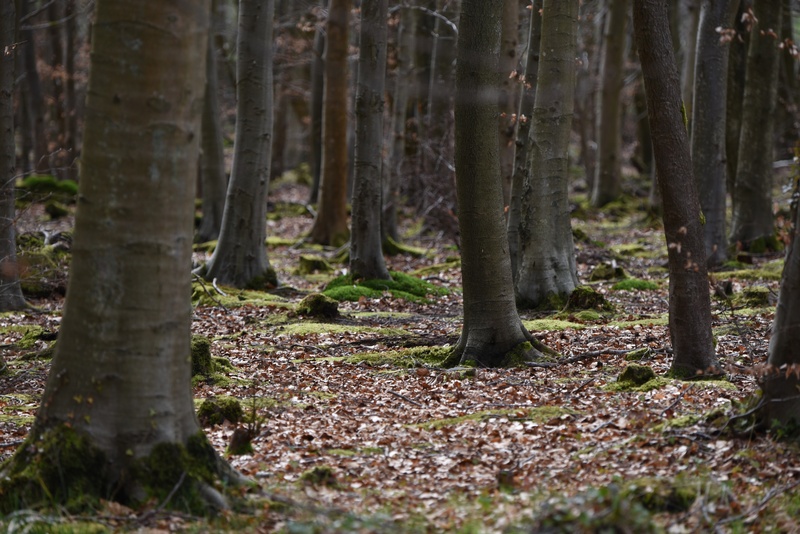 The road flattens out as you approach Creightons Wood. Finally you reach Creighton’s Green Reservoir and the sea is visible again. The boundary with the townland of Ballycultra runs through the reservoir. According to the PLACENAMESNI website, Ballymenagh was once church land, one of five townlands belonging to Holywood Abbey, so its name probably comes from the Irish Baile Manach meaning “townland of the monks”. Which townlands border Ballymenagh? Towards Belfast, Ballykeel. Towards Bangor, Ballycultra. In the hills, Dunlady and Craigogantlet. Click here to see a map of Ballymenagh on Townlands.IE. My great grand-uncle Henry Magill lived in – and presumably owned – Ballymenoch House during the period 1900-1910. Henry was a sailing and steamship captain employed by the Lord Line of Belfast and frequently sailed to North America. A family story that his wife would watch departures and arrivals of his ship from the house fits with the depiction of the house having a “widow’s walk”. Henry died in 1910 and his funeral was attended by a Thomas Dixon who was a principal of the Lord Line. He is buried in the Holywood Priory Cemetery. Gorgeous daffodils! Isn’t this also the hometown of Liam Neeson? 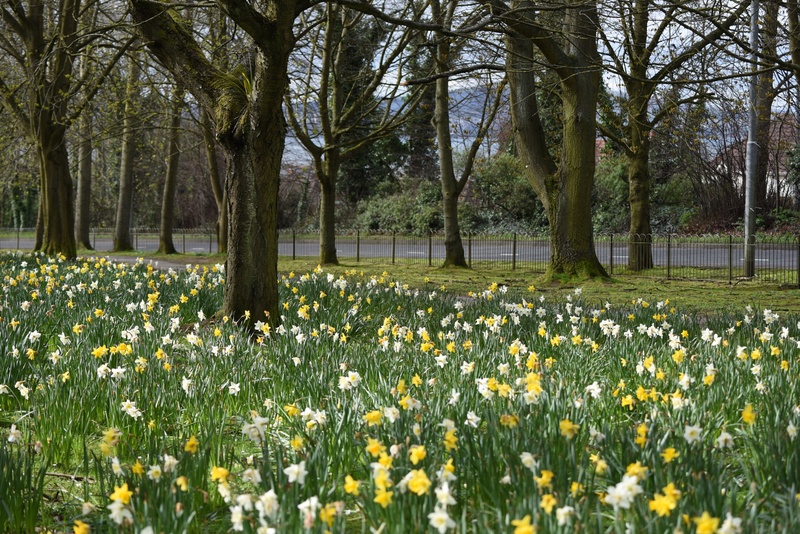 It’s a good season for taking photos, with all these daffodils. I was out this morning looking for spring lambs as well. As for your question about Liam Neeson, oh, if only Irish placenames were so simple! Mr Neeson comes from the town of Ballymena in County Antrim. Ah, I had noticed the difference in spelling, but thought perhaps the two places were the same. Thanks for the clarification!